Southern hospitality doesn’t mean you venture into any real estate transaction blind for the benefit of others. All home buyers and sellers should receive unbiased and independent advice prior to executing a sales contract. For more than 10 years, we have been providing Greenville County home value reports to individuals considering a primary residence or investment property. Any residential property can be researched in Fountain Inn, Greenville, Greer, Mauldin, Simpsonville and Travelers Rest. Curious how much your home may be worth? 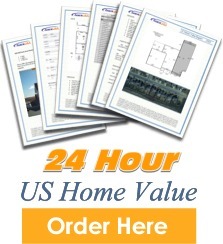 We can help you learn its estimated market value with our mult-page report delivered within 24 business hours. Receive an appraisal emulation based on conventional practices and many of the same types of data including sales comps, images, historic MSL data, tax assessed values, detailed property characteristics, current owner’s name and more.